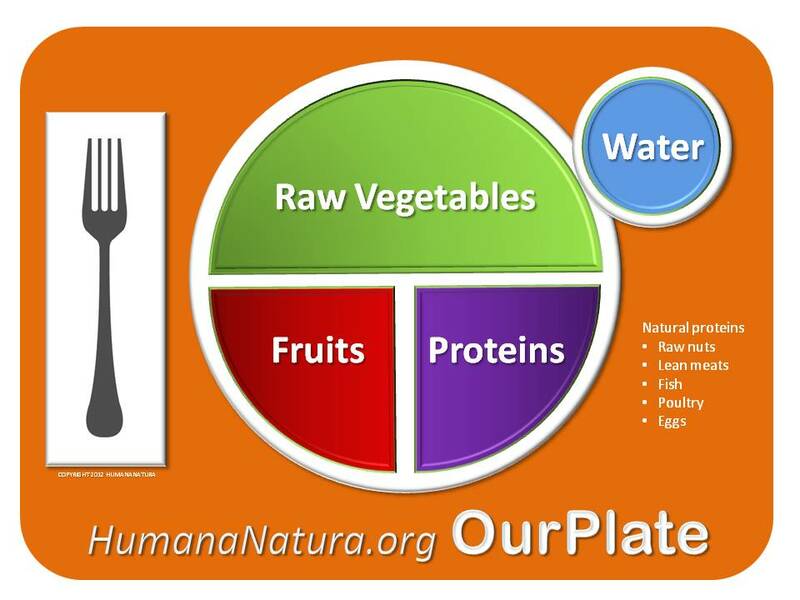 Whether you are new to HumanaNatura’s OurPlate natural eating model or not, a crucial practice to ensure natural and optimal modern nutrition is guarding against what I will call carbo creep. Carbo creep is easily defined and understood. And with attentiveness, it can be readily observed and steadily prevented, or cured, in our lives. As the name implies, carbo creep is the unwanted, often slow, and sometimes unconscious re-introduction of unnatural carbohydrate-dense foods (all other than fresh fruits) into our daily diet. As you can see in my graphic, such carbohydrate-rich foods are not part of the HumanaNatura’s science-based OurPlate approach, just as they were not a principal part of our diet during most of our natural history and development, when we were primarily a hunting and gathering species. You can learn more about why these foods are not part of OurPlate, and their generally harmful effects on our native physiology, via the Natural Eating section of HumanaNatura’s Personal Health Program. To quickly recap this fairly large body of information, let me make three points. The first is that our long-evolved human diet is based on raw vegetables, lean animal meats and tree nuts, and fresh fruits and berries. While this idea was once controversial, likely you appreciate that it is now increasingly settled science. 13 Reasons To Move That Body! I’ll admit it. I’m hooked on bodyweight exercises. I’ve been working out for two decades, rotating through dozens of different workout approaches, but one aspect of my workouts has always been consistent – my use of bodyweight exercises. By the term bodyweight exercises, I mean fitness workouts that don’t require free weights, and where our own weight provides resistance during the exercise. This might make you think of calisthenics and maybe HumanaNatura’s comprehensive calisthenics program. These are great examples of bodyweight exercise. Bodyweight workouts are extra-efficient, since they emphasize whole body movement and task multiple muscle groups at the same time (as opposed to the muscle group isolation that is typical in weightlifting). In addition to providing resistance or strength training, bodyweight workouts can also provide cardio conditioning, and improve agility and flexibility too. I never really thought about why bodyweight exercises had remained so important to me until I started developing my new fitness product, Strength Stack 52, a fitness program designed to be fun, flexible, and effective. The project made be better appreciate the many important aspects and benefits of bodyweight exercises.